Dow joined Vietnam Environment Administration (VEA), Centre for Environment and Community Research (CECR), United State Embassy in Hanoi in holding Earth Day 2017 with the message “Join! Act! – For the clean water of Vietnam” with the purpose of raising public awareness of controlling and protecting water and educating public about responsibilities in protecting water through specific environmental activities. Earth Day 2017 attracted thousands of participants with various meaningful activities including cleaning park, cycling for Vietnam lakes & water resources, environmental-education exhibition and etc. 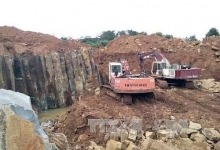 The activity demonstrated Dow’s commitment in its sustainable development strategy in Vietnam focusing in protecting the environment and clean water resources. 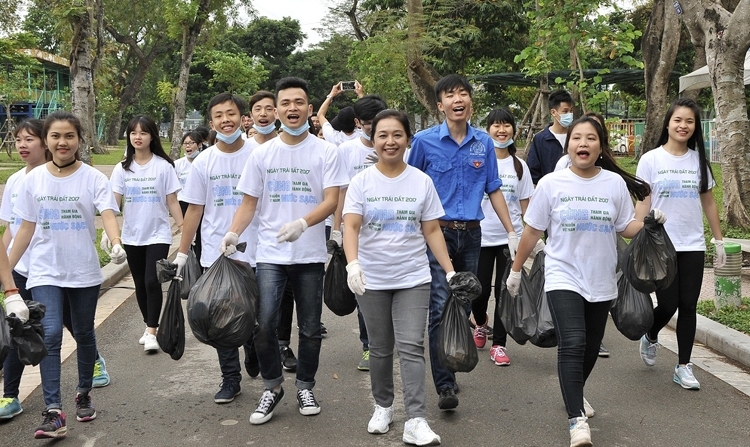 Dow also participated in an initiative to clean up the Hanoi Lakes in September last year with the participation of 1,200 volunteers to help conserve water resources and protect the environment. 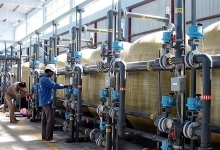 “A global leader in sustainable separation and purification technology for industrial water treatment as well as safe residential drinking water, Dow Water & Process Solutions takes advantage of our strength and expertise to help address many of the world's most challenging problems as well as incorporates the value of nature and society into all of our business decisions. During more than 20 years of operation in Vietnam, we took pride in actively and effectively engage in helping the Vietnamese to address pressing challenges such as Access to Safe and Clean Drinking Water, Sustainable Operations, and Environment Protection, and the event today is a great example. We hope that the spirit of Earth Day will be greatly disseminated so that protecting the environment will not just be carried out today but become everyone’s daily practice” - Ms Luu Mong Thu Huong, Commercial Manager of Dow’s Water & Process Solutions in Vietnam - stated at the event. One key area Dow’s products contribute to sustainable growth is through delivering cleaner, safer water, through a process with less waste and greater energy efficiency. Dow has launched a local partnership in Vietnam for residential water purification products, demonstrating our commitment to providing world-class technology through innovative collaboration to bring clean drinking water into Vietnamese homes. Currently, Dow FILMTEC™ RO membranes for home water purifiers has been well received by the consumers. In addition, Dow FILMTEC™ BW 30-400 is also an ideal product for use in large-scale industrial and municipal water treatment systems as it enables users to increase productivity and reduce costs. Dow is looking forward to working with more local partners and customers to bring our innovative solutions that address the water-related challenges in the market, residential and industrial. Dow’s water and environment related corporate citizenship activities include: donating more than 30 water purification devices to schools and hospitals in Vietnam, providing safe drinking water to thousands of pupils，patients and people in need, donating an emergency water purification mobile unit to the Vietnam Red Cross; empowering more than 2,300 enterprises nationwide with knowledge in cleaner production and waste management, as well as promoting the circular economy concept for sustainability and environment protection for Vietnamese enterprises.